This strenuous trail follows a series of switchbacks to the summit ridge, and the upper terminal of the Sulphur Mountain Gondola. 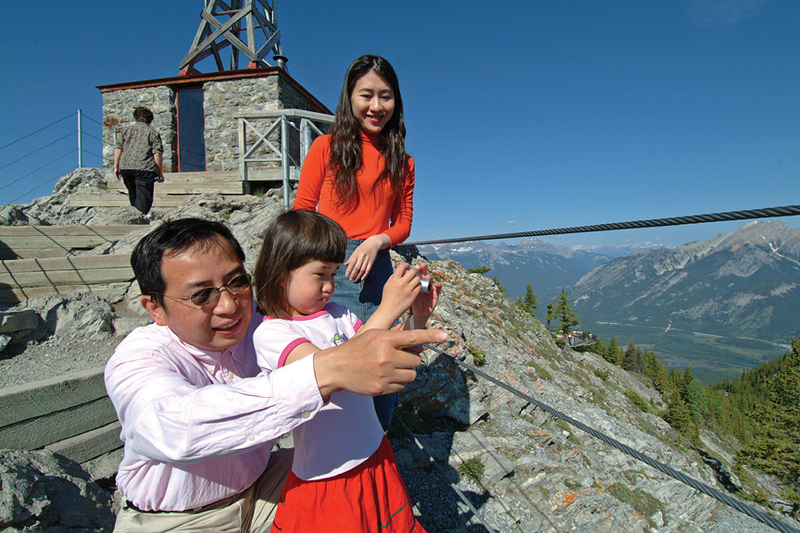 A network of trails along the ridge, and viewing decks at the gondola station, provide stunning views of the Bow Valley. You can also follow a short trail up to the historic Cosmic Ray Station. Bikes are not permitted. This steep trail can be very slippery, especially in spring and fall. Check the trail report before heading out.